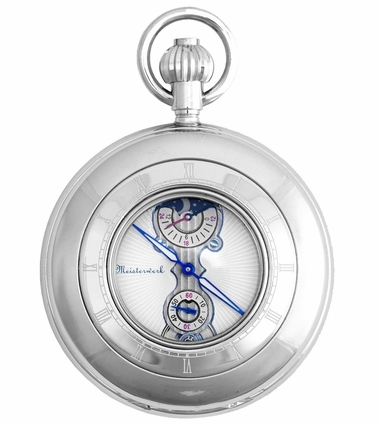 More than just an elegant time piece, this 17 Jewel Movement Moon Phase Pocket Watch and Chain by Meisterwerk adds a touch of class to the owner. Made from sturdy solid brass, this silver-tone pocket watch features seventeen jewel mechanical movement and a skeletal dial with a white chapter ring. Black hands point to blank numerals and a scratch-resistant lens on BOTH watch and cover means it will always look like new. It also includes a twelve inch chain with a pocket hook and it comes to your door in a deluxe wood gift box for added value. The back of this watch is plain and smooth - and that is where the engraving will be. 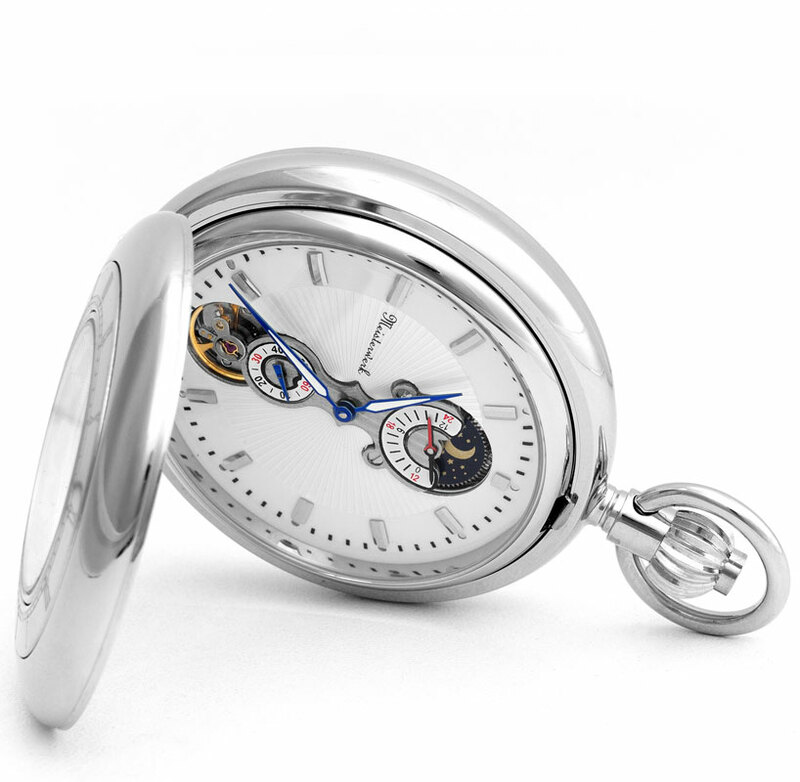 Special features Mechanical Movement, Free 3 Initial or Word Engraving - We Will E-Mail You After The Purchase.